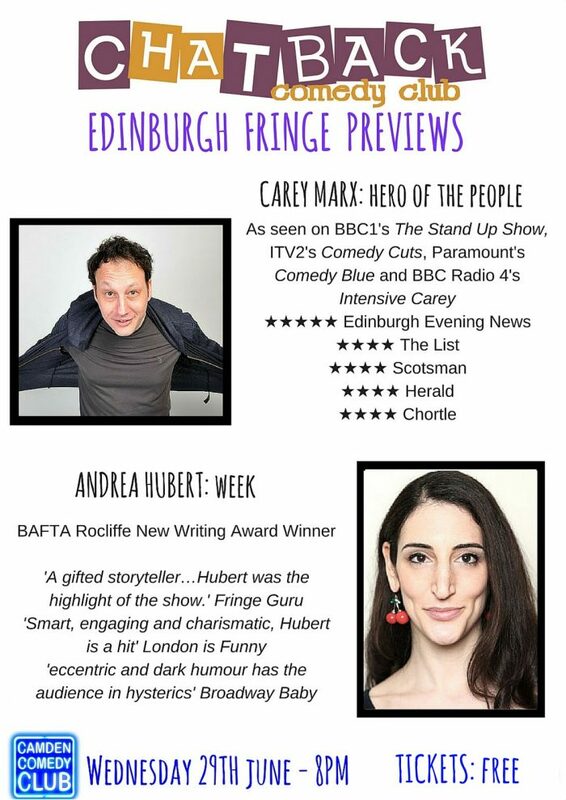 Intelligent, biting comedy from CAREY MARX and ANDREA HUBERT. Andrea Hubert started comedy in late 2009, and within 20 gigs gained second place in a national competition. She’s since performed alongside some of the UK’s best comedians at prestigious comedy clubs all over the UK, been commissioned as a writer for a BBC pilot and was shortlisted for the BAFTA Rocliffe New Writing Forum at the New York Television Festival 2012. She was dubbed “One to Watch in 2012” by London is Funny.